I'm your typical 42-year-old male with a receding hairline and some thinning at the crown. For those who have read my pieces on hair loss, you know I'm not a fan of rugs, drugs, creams, or schemes and much prefer just letting nature take its course. Staying healthy and getting a haircut that works well with what you've got is always the best option. That said, there are many products out there to try. After a failed attempt at using the expensive HairMax Laser Comb, I've decided to give Men's Rogaine Foam a try. Very easy to use with little or no mess. Some users may experience side effects. Safety cap is annoyingly difficult to remove. Does not work for a receding hairline. Men's Rogaine Foam is a foam for the treatment of hereditary hair loss in men. The company claims that in a clinical study of the product, 85% of men regrew hair in 16 weeks with twice daily use. For treatment of hair loss on the top of the scalp (the crown area), not for a receding hairline. Can be used with normal styling products. 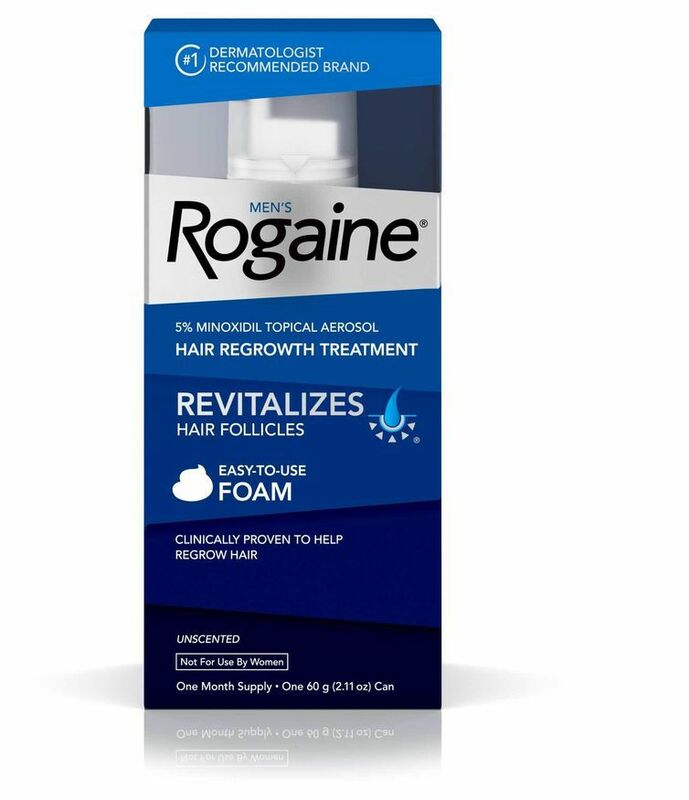 Men's Rogaine Foam contains 5% minoxidil (the same active ingredient in the Rogaine topical solution), an FDA approved product for treating hair loss and works by enlarging the hair follicle to reverse the shrinking that occurs over time with hereditary hair loss. McNEIL-PPC, Inc., maker of Men's Rogaine Foam, claims that in a clinical study of the product, 85% of men regrew hair after using the product twice daily for 16 weeks. Whether those 85% regrew enough hair to make a difference in their confidence is unknown. Men's Rogaine Foam is intended to be used to slow and/or reverse hair loss on the top of the scalp, rather than to correct a receding hairline. For me, I'm less worried about the thinning crown than I am the receding front, so the product is not going to change my life. However, I am impressed with the results I'm seeing in such a short period of time. I am actually starting to see some new growth after only six weeks on the product. I wear my hair very short, so the results are easy to see. As for the product itself, it's very simple to use. It comes in a foam form which is much easier to use than the company's topical solution (which is applied with a dropper). 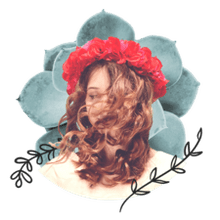 If you've ever used mousse as a styling product, it looks and feels about the same. Men's Rogaine Foam has a pleasant smell as well. To apply, simply disperse a grape sized amount onto dry fingers and massage into the crown area twice daily. Allow the product to soak in for a few minutes before applying any styling product. You may still blow-dry or use your favorite styling products as they won't adversely affect the performance of the product. My hair is worn very short and my hair is fine, so I just spread the Rogaine Foam around a bit more and use it is my styling product. When it dries, it does have a bit of a hold factor. Of course, some people may experience side effects (such as itching or irritation) and the product should not be used by women or those under 18. You should always consult your physician before beginning any type of hair loss therapy, and a trip to the ​Rogaine drug facts page may be a good idea. I've concluded my six-month trial. While I did notice some regrowth, it was not significant enough to make me want to continue to use the product. That said, I have had clients who experienced great results with the product (as well as those who received no benefit at all). Every head of hair and everybody is different, so while the product may not work for some, it may work very well for you. At around $40 for a three-month supply, it's certainly more cost-effective than many other treatments out there. If hair loss is a concern for you, give Men's Rogaine Foam a try and judge for yourself.